Welcome to The Heart of a Mighty Warrior, an on-line study on the life of David. It’s not too late to join us. To register, please leave a comment with your first name and e-mail address or e-mail me at Deuteronomysix@aol.com. Every day as I sit at the computer and read your comments, I am touched and moved by what God is doing. All He asks is that we seek Him, and look what happens when we do!!! Thank you, thank you for faithfully doing your homework and for openly and honestly sharing your answers. It blesses me beyond measure to see God working through the questions He laid on my heart. This week we travel through many chapters and cover much material. There are thirteen multi-part questions. Feel free to divide the assignment throughout the week to spread out the reading. David’s life is full of many significant stories. It is so very hard to pick and choose, and I trust the Lord with the choices I have made…that they will be meaningful and speak to you. How are you doing with your memory verses? I pray that as you commit this week’s verse to memory, the Lord will plant it deep in your heart. Know that these verses are God-given just for you. Trust that He will reveal the perfect time for you to share them…whether in your own life or the life of someone you love. Below please find the lesson for Week One and the homework and reading assignment for Week Two. This week, we watch as God strips David of everything so that he can learn to trust in God and God alone. We find David on the run, desperately trying to escape from the throes of Saul’s jealousy. Don’t forget you can subscribe by e-mail and receive this post in your in-box each week. However, you will not be able to see the videos or comments unless you visit my blog directly. Reading Assignment: Read as assigned through the homework. Homework Questions: Please do as many questions as time allows. It is in your reading and studying that God will do His greatest work. Heavenly Father, I am ready to begin another week spending precious time with You in Your Word. As I begin this week’s lesson, make my heart tender to hear Your voice as You speak to me. Give me ears to hear and a heart to receive what You have for me in each and every lesson. Speak a fresh Word to me…especially the familiar stories. Allow me to read each story as if for the first time. You tell me Your Word is living and active meant to speak to me today. You tell me that when Your Word goes out, it will achieve what You desire and accomplish the purposes for which You sent it. Father, do that in my life. Speak to me. Move me. Change me. Accomplish everything in my life that You desire. Thank You for giving me this opportunity to spend time alone with You. Help me to carve out the time no matter how busy I think I am. Help me to put You first. I ask this in Jesus’ powerful and effective Name. Amen. 1. Read 1 Samuel 19.
a. How did Jonathan respond to his father’s orders to kill David? 2. Saul was clearly out of control. Jealousy overtook every fiber of his being. His son and daughter both appeared to choose David over him. He became relentless in his pursuit to kill David. Remember, Samuel anointed Saul. Don’t you think by now David was questioning the anointing on his life? He stayed with Samuel while Saul sent more and more men after him. But God proves He is still in charge. a. What happened in 1 Samuel 19:19-24? Share how God’s reveals His plan is still in place? b. Read 1 John 4:4. Write the verse below. c. Does it encourage you that when evil confronts godliness, godliness wins out? God makes it quite clear, doesn’t he? The Spirit of God is more powerful than anything! (If you would like to learn more about the friendship between David and Saul’s son, Jonathon, read 1 Samuel Chapter 20. Due to time constraints, I will not spend time on this relationship in our lesson. But it is a beautiful friendship worth learning about). a. Why do you suppose he chose this city? c. What lie did he tell? e. What did the priest have to offer? f. Do you think it significant that the only bread the priest had to offer was holy, consecrated bread, the bread of the Presence? Friends, I absolutely believe that by making this the only bread available, God was reminding David of His Presence and His promise to David that he was going to be king. David knew these promises of God, but he was desperate and fearful. Exodus 25:30 speaks of the Bread of the Presence required to be always present on the Table in the Temple. “Presence” here refers to the actual presence of God. The bread represented a perpetual offering to the Lord and served as a reminder of God’s presence to His people. Perhaps God made this bread available here because He wanted David to remember that His Presence was with him wherever he went. 4. What is so precious for you and me is that God does the same for us. a. Read John 6:48? What does Christ call Himself int this verse? b. What is His promise in Hebrews 13:5? (quoting from Deuteronomy 31:6, Moses’ words to Israel)? c. Share a time in your life when God clearly reminded you of His presence. 5.David runs again at the end of Chapter 21. Read 1 Samuel 22:1-5. Sadly, David felt he had nowhere else to run, so 1 Samuel 22:1tells us that he “escaped to the cave of Adullam.” David wrote eight different Psalms while on the run from Saul. Below we will study two that he wrote while taking refuge in the cave. a. What does this psalm reveal about David’s heart? b. What are your thoughts about David’s words in verses 7-11? a. What is David doing in verse 1? b. What about in verse 2? How does this encourage you? c. What does he recognize in verses 3 and 5? d. What is he feeling in verses 4 and 6? e. In verse 7, his tone changes. What do you think happened as he moved through verses 1-6 to arrive at verse 7? David’s life is such an encouragement because his life and heart mirror ours. He was a godly man who desired to honor God with his life. Yet he struggled with living out that faith in the midst of difficult circumstances. He ran away from God rather than toward God. He tried to solve problems his way rather than God’s way, and the consequences as we will soon learn were severe. Before we finish, I want to encourage you with one more Psalm written by David. Read Psalm 62. Write verses 5-8 below. 6. Read 1 Samuel 22:6-23. Let’s get back to Saul and David. Today we have a difficult story to read. We will see the magnitude of Saul’s madness and hatred for David. a. Read 1 Samuel 22:6-23. What did Saul accuse his men of doing? b. In verse 9, we meet Doeg again. Do you remember when we met him before? To refresh your memory, reread 1 Samuel 21:7. * What does he tell Saul? * What does Saul do in response? * How many priests were killed that day? Who else did Doeg kill? 7. Read Psalm 52. Theologians believe David wrote this psalm in response to what happened that terrible day in Nob. David surely blamed himself for this terrible tragedy since his presence in Nob is the reason Saul ordered the priests and the entire town slaughtered. But he did not allow himself to stay in that place of blame and self-pity. He cried out to God. He placed the blame exactly where it should have been…on Saul and Doeg. He reminded himself of some very important truths. a. What are those truths? He alone is our Refuge and our Strength, our Strong Tower, and our most Faithful Father. We continue to see David on the run from Saul. 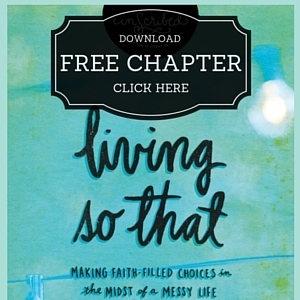 There are some great lessons tucked in the next two chapters. 8. Read 1 Samuel 23. I just love the lesson David teaches us in this chapter. b. How did David’s men respond to his decision to go to battle? c. What did David do in verse 4? d. Why did he inquire of the Lord a second time? e. Do you think it’s wrong to ask God repeatedly for something you have already asked? Explain your answer. f. Now read verse 7. What does Saul believe? What did he do in response? g. What does David do in response in verses 11 and 12? h. What happens in verse 14? i. What is the clear difference between Saul and David? 9. Read Psalm 54. Throughout this study we will read many Psalms written by David. This is one of the few psalms where we know exactly when it was written. David wrote this Psalm when the Ziphites told Saul his whereabouts. a. Write the first line of Psalm 54 below. How does David ask God to save Him? b. What does this Psalm reveal about David’s heart and his relationship with God? 10.God has taken David through some very difficult trials this week. Clearly God is preparing David for this magnificent call He has on David’s life. a. In what ways is God equipping David? In other words, what is God building in David through his trials that will help him be a better leader for God’s people? b. Think back through your biggest trials. Can you look back now and see that God was building something in you…equipping you for what He is calling you to do now? If yes, please share what you have learned. 11. Read 1 Samuel 24. What a powerful lesson David teaches us today. Saul continues to pursue David. 1 Samuel 24 tells us that Saul hand-picked three thousand men from Israel and set out after David and his six hundred men. Saul and his men stopped for a rest. There were no Chick-fil-A’s or rest stops along the way. So Saul went into a cave to relieve himself. b. At that point, what did David have the opportunity to do? Did he take it? c. What did David do? e. What do these verses reveal about David’s heart? 12. David had no guarantee that Saul would not come after him again. Saul promised nothing! 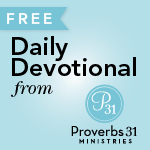 Yet David refused revenge, offered reconciliation, and restored the relationship. a. What truth do we learn for dealing with those who have hurt us? b. David confronted Saul with grace and respect. Do you think this result would have been different had David had a different attitude? 13. The author of 1 Samuel 25 tells us that upon learning of Nabal’s death, David sent for Abigail to make her his wife. The only problem is David already had a wife, Ahinoam. Part of me thinks what a wonderful love story, but the other part of me says this “godly” man, this man after God’s own heart, is now a polygamist, in direct violation of God’s law. a. Read Deuteronomy 17:14-20. What is its specific direction to kings regarding wives? What is the reason? b. Read verses 18 and 19 again. How does God ensure the kings know these laws? Sadly, David’s actions here show us his heart is beginning to stray. As we continue in our journey, we will see David make some devastating choices that move him further and further from His Father’s heart. This story is a powerful one to teach us that it is the first step toward sin that makes next steps much easier. Let’s pray together to end our week. Heavenly Father, fill my heart with Your Truth. Plant it deep within me so that it takes root. Keep me close to Your heart. Keep my heart tender so that I never stray from living in Your Truth. And Father, if I ever do begin to stray, do what You need to do to draw me back. Convict my heart, open my eyes to see, give me ears to hear, bring me an Abigail. Give me a heart of humility to see my sin. Move me to confession. Allow me to return to You. Thank You for this chapter to remind me that even when I think I am at my strongest and best in my walk with You, I am susceptible to sin and disobedience. I love You, Lord. Draw me close each and every day and make my heart more and more like Yours. In Jesus’ name. Amen. I can't wait to get started with Week 2! I love how your study questions made me think about my own life and relating it to what I was reading. It was an eye opener to see so much of myself in Saul. Now the hard part is applying what I've learned into action in my life. This is what I seem to struggle with the most in my walk with Christ. I can't wait to get started, either! I am blessed enough to have two friends doing this study along with me. We have enjoyed discussing it together. In the past few months, I have heard from God over and over, "Be who you were created to be. Walk in who you are." 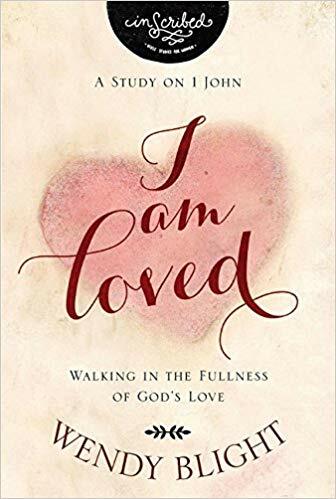 I cried when I listened to you talking about who we are in Christ because God is using this study as yet another way to hit that truth home to me. Thank you and praise Him! I would like to join also…this is exactly what I need! Thank you for being a blessing! I would love to join your study and dig deeper with you! I would like to join your study. I just had to do week 2 today; I am on "vacation" today. What a lovely way to spend the day in God's Wrod. There is so much to learn – and David oh my…God is a forgiving, loving, mericful God that is for sure. I must admit I did have a hard time reading how God put an evil spirit on Saul. Then I realize I can't really see the entire picture and as the story of David unfolds I can see how it all goes "into play" to bring something out to the good and lessons learned! I am really enJOYing this study! Thank you. I would like to join your study. This is my first time doing a Bible study of any kind. I would love to join in your study. We are actually studying the life of David at my church so this will be a wonderful addition to my studies! I love your study. It gives me so much to think about. I have a question. Did you ever pick a winner for Rachel Olsen's book that you had an interview for a few weeks ago? 1. as my life has always been very stressful and I am so emotionally tired from being a mom to a termially ill child who is also autistic but then you said God is preparing for His plan and it helped me to remember that this is where He wants me and there is a purpose to it. 2. when you touched on "rebellious children"
3. and about not listening to those people who put us down. I really needed this. Today's message helped a lot- I was starting to doubt myself because of a rough patch with a friend and I needed to hear this. I know who I am in Christ, and I am seeking more of him- HE alone knows my heart and that is all that matters. I need to remember that God can use me regardless of where I came from or how much of a new Christian I am. I seek him everyday and want more of Him and HE will honor that! Thank you Wendy for letting me a part of this! God's Girl (Kim) thank you for that question. I have read this verse many times and have never really noticed that sentenced until today and I thought the same thing. Why would God send an evil spirit, God is of love not evil so this has been very confusing to me, glad I am not the only one. Would love to know what others think of this…. Great question. As I researched this verse (as well as 1 Samuel 16:14 where uses the same wordage), scholars and theologians interpret this to mean that God permitted it. When the presence of the Holy Spirit left Saul, he was left wide open for Satan to come and torment him. It was only by God's divine permission that Satan was allowed to do that. So the evil spirit was not FROM God. It's that God allowed the evil spirit to come and torment Saul. He was no longer protected by the power of God's Holy Spirit. This is very similar to when God allowed Satan to come after Job in the first chapter of Job and when God allowed Peter to be sifted like wheat by Satan. Satan stirred up tormenting thoughts and lies iin Saul's mind, led him to great bouts of despair, depression, rage, and fear. All of which led him to murderous and outrageous behavior. I hope this helps your understanding of these verses. It is so fun to dig deep, isn't it? This is why I love being in Bible study!! I did not officially sign up for this study, but I am just pulling it off your blog. I sooooo enjoyed Ephesians this summer that I just could not help doing David. This morning God revealed something to me that I did not realize after walking with him for 22 years! For the question regarding the first line of Psam 54 "Save me oh God by your name". Your question was "How does David Ask God to Save Him" Of course, my immediate answer was "by his name". But as I thought about that – I realized that I didn't really know what that meant. Did it mean he just kept calling out his name? God! God! God! God! Surely, it meant more than that!! So I started digging and God revealed to me that "Name" really means….that the Name of the Lord is the manifestation of his character. It has no separate existence apart from the Lord but it is synonomous with who the Lord is and all that he is!! That really made the question and answer take on a whole different perspective. 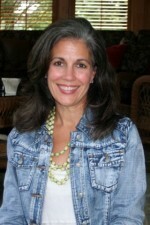 Thank God for his revelation and thank you Wendy for your obedience to your calling!! Wow!! I love how God took you deeper still as you sat alone with His Word. I never thought about the depth of the words in that Psalm myself. Thank you for sharing that with all of us. I would love for you to be officially registered with us if you would not mind. Please e-mail me at deuteronomysix@aol.com so I can register you and include you on any future e-mailings or studies. Thank you again for blessing us with what God taught you today. This has been such an amazing journey in only a two-week span. It has really had me take a Lord at what God has done in my life and what he is currently doing. The way David seeks after God for directions and decision making in his life is so encouraging. It lets me know that it can be done and that I too can make that a normal part of my life. Thanks Wendy for all of the eyeopening questions and scripture verses. I'm glad that you have been giving us memory verses because it challenges me to learn them and to submit them to memory. I also did the Ephesians study with you this summer and it was truly a blessing. Thank you so very much and I look forward to next week's lesson. After spending some more time this morning with the the questions I am so inspired by David always asking God for direction before doing anything but I also can relate to how Saul believes God was giving David to him when David was in Keilah. I have been a Christian every since I was baptized Catholic at 2 weeks old. I didn't always walk with the Lord or seek His will but for the most part I have lived with God in my life on a daily basis. 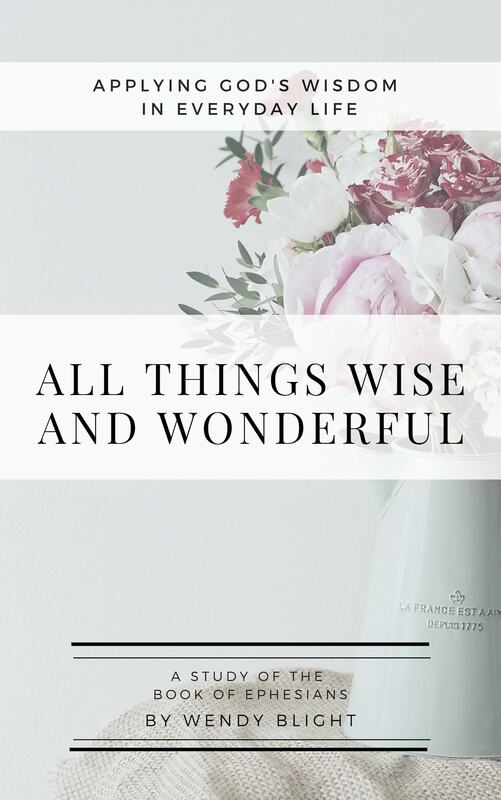 Here is where I have trouble though ~ I do ask God for direction as David did but sometimes it seems like I am more like Saul "believing that God is handing something over to me" and then later finding out I was wrong. How do you know when God is giving you direction and it's not Satan. Because of this uncertainity I seem to be afraid to move at all or tend to overanalyze things. Thank you Wendy for your explanation of the evil spirit from God….I was thinking about Job too and trying to see if there was a similiarity. And from this mornings questions and your explanation I guess that is how I got to my above question on knowing God's direction. Thank you so much for this because I do feel like I am getting deeper into my relationship with the Lord. 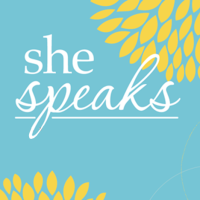 I had prayed and ask God for the opportunity to go deeper with a group of ladies who shared that desire. As I sat with Him and went deeper into the life of David there were some truths that I feel He revealed to me. I was a at-home mother for years. I would get discouraged because I did not feel my life had significant purpose (outside of the kids). I never once thought about God preparing for me for something greater during those times. I am so excited to learn more about David and in turn learn more about the plans God has for me as He is preparing me for something greater. Your question about God's leading is a good one and one many people ask. The way I know when I am in God's will or taking steps in His direction is two-fold. First, I sense a true peace when I head in the direction I feel Him calling. If I feel anxious or go back and forth, back and forth, I know that I am either not in His will or I am trying to move ahead of His time. Second, I look for confirmations of what I think I hear from Him. Pray for God to confirm the direction you hear. He will be faithful. He may provide it through His Word, through a friend, through circumstances, through His Holy Spirit, and sometimes through some creative means (a song, a line in a movie, a commercial…I have experienced it in many ways). 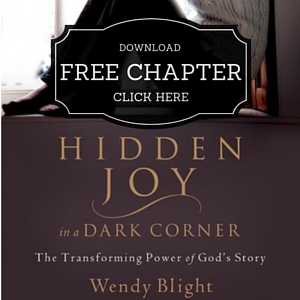 In my book Hidden Joy in A Dark Corner, I spend an entire chapter sharing about this and how I heard God lead me when I truly had no idea why He called me out of a place I was content and being used by Him into a place of nothingness. I was so confused why He called me out of somewhere I was so happy. But He so faithfully led me to where He wanted me to be through His Word in very obvious ways and through Christian friends. I pray this helps you with your question. I subscribe to your posts via email & I was able to print out the questions for this weeks study, but I am just now getting a chance to visit the site to watch the video. It actually worked out to be perfect timing for me to watch it because you hit on something that I've been struggling with this week. Wendy thank you for the time you take to share the word of GOD with us. YOU have impacted my life with how GOD has anointed you to share HIM with us in an understanding way. Thank you for giving your time for me and other woman that need role models like you. BLESSINGS. Am really enjoying myself with the bible study.. am doing it on my own and am loving it… i have a hard time seeing things through as i give up almost immediately after i start but i am really enjoying myself doing this… i divided the readings such i have something to read everyday and i tell you its a blessing am enjoying my bible more than i have in a long time… i actually read it in the bus on my way to work!!!!!! I just want to thank you…Be blessed…. I just want to say that I am enjoying this bible study. Thank you for all of your hard work. Tiffany, I just wanted to let you know that I am praying for you and your family member. I want to share with the group on how I have felt God's presence clearly this summer. My oldest son had just graduated from college in May when he decided to go on a year long mission trip to Slovakia. He had to fund raise for the full amount of expenses and it was over $15,000. When he told me and my husband, I told my son that we would only be able to help him out a little. With this economy, I was sure he was going to have trouble raising the money. My mother-in-law questioned me about the mission and large amount of money that had to be raised. I told her that if God wanted my son on this mission then he would provide a way and I truly believed this. Well after I had said this, money started coming in from unusual places. A church from our community who heard about his mission trip, but that we don't attend offered several thousand dollars because my son was a local missionary. People were giving who we never expected to give. When my son only needed one more thousand to reach his goal, a lady we only knew by association from a friend handed me an envelope one day. I figured it was twenty dollars. It was a thousand dollars. I was so shocked but I knew it was all God. God also provided people to come into our lives that encouraged my son and us. It was amazing. On one of his last Sundays in the US, a man came up to him in church and said he heard that he was going to Slovakia. This man didn't even attend the church we were at. The man was from Slovakia, so he answered a lot our questions that we had about his country. It was amazing the people God brought into our lives this summer. I am sorry this is so long, but it is truly amazing when God is pointing you in a certain direction and then he provides all the support and encouragement you need. This has brought our whole family closer to God. He has strengthened our faith. I am following this study, thank you so much! I will need to listen to your video over and over, it is so encouraging!! 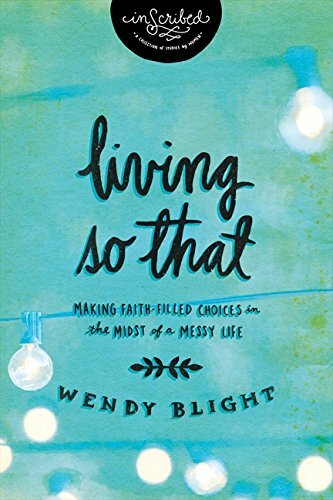 I just want to start by saying "Thank you Wendy" for allowing us to another bible study with you. I just finished all my questions this morning! but I do have one question and I am kind of embarrassed to ask.. Going back to the end of Chapter 15 in 1 Samuel.. God has rejected Saul as King.. The start of chapter 16 shows Samuel mourning for Saul and God telling him to go and get ready to anoint a new king. My question is (and I have read it over and over) During All of Saul's attempts to kill David, is Saul still King?? or is he just angry knowing that Davis will be the new kind oneday? There are many times thru chapter 16-23 that has said something about Saul being King during this time? maybe I am reading it wrong? if I am.. SORRY! but I thought he was rejected as king before Davis was anointed? and maybe I am jumping way ahead of our study.. but why did it take so long to make David King? (was it b/c he was to young and he had a lot to learn?) if I am jumping, please tell me to slow down and wait patiently:)…. Now.. another question that has nothing to do with this study..and I am sorry to ask this.. but this morning while my 7 year old son was eating his breakfast, he asked me, "why can't we see God?" WOW! well, my mommy" answer was because he is up in heaven, getting things ready for us one day and helping the angels up there, and we have to have faith that he is there with us in our hearts, we have to have believe with our hearts and not stop believing that he lives in us and our homes… I feel that wasn't a good enough answer.. Any advise on how to answer that.. I just want to make sure I am leading my son into God's arm and his heart and that God remains in our lives. He is already at 7 years old, worrying about what other kids might think about him (b/c he eats dinosaur nuggets or watches certain Disney movie's(which he won't watch anymore). I sometimes feel I have failed as a mother, by him feeling this way.. letting peer pressure take hold.. how do you stop that??? Any parents out there, that have any suggestions on how you teach your children to stay strong! and continue to follow Jesus and GOD and not worry about what others say or think?!! Thank You for listening and I am sorry this is so long! Thank you so much for sharing your family's story of God's faithfulness this summer. I too know how stressful it can be to have to save thousands of dollars to go on a missions trip, but God is faithful and he provides. It was encouraging to read your story, thank you for sharing it. Thank you so much for the answer to my question about the "evil spirit." It made perfect sense and your response was so insightful! I have another question now, and I hope it isn't a silly one, but does God still allow this to happen when a person is not Spirit-filled? If so, does Satan have to seek God's permission first? Also, can I ask for everyone's help…will you please pray for my son? He has a sensory disorder and is struggling to function in normal environments. He is 4 and last night almost made himself physically sick in AWANAS because the environment was so over stimulating. He struggles so much because he loves the Lord, but physically is unable to function is ceretain environments. I am at a loss as to what to do to help him. His Occupational Therapist has run out out of ideas and I am also stuck (and I am working on my Masters in Special Ed). Does anyone out here know of any Christian resources for children with special needs? He is passionate about Jesus. I just need to find the best way to channel it. Thank you for your time and prayer support!!! Week 2 was just as good as week 1. I'm glad I took the time to read God's word and answer your questions. I really love reading your prayers before and after each study questions. You have asked some great questions…too long really for me to address on the blog in full. Would you mind sending me your e-mail address so that I can write you my thoughts? I think if you go to http://www.joniandfriends.org, you can send them an email with any questions you may have and maybe find some resources through them. This is a ministry dedicated to meeting the needs of the disabled community. Hope it helps. Tiffany, am praying for you and your situation. Wendy, I've not finished my homework yet, but I'd like to ask about Denise's comment on the calling on the Name of God. She wrote: "the Name of the Lord is the manifestation of his character. It has no separate existence apart from the Lord but it is synonomous with who the Lord is and all that he is!!" Is that referring to the names of God, such as Jehova Jireh, the God who provides? Oh, how I love theses studies with you Wendy. I have been up all night with a rebellious young adult waiting for him to get home. Then trying to get him up for his class with a test at the University. I did call on God, to care for my son, to take him by my son's right hand and walk him through shaping and molding him like clay into someone who can fit into society, earn a living and support himself serving the Lord. Yet, I felt as if I could not do it. This lesson, even though I am listening late to the video–I had done my reading and questions but also had surgery last week so waited on watching the video and starting the second week. The video reminded me of how God aided David, he succeeded by his faith. That I can do all things in Christ and through him our Lord God. Perhaps, God will reach out and grab my rebellious son as I cannot though I try. THANK YOU! THANK YOU THANK YOU!!!! I checked out the site you suggested and it was just what I looking for and this particular ministry is located close to my home! Thank you for taking the time to share the web page with me! Blessings to you! You're welcome. Joni's ministry has blessed me over the years. I pray it can be a blessing to you and your family as well. Hello! I just got through question 8 today. After I read the account of the entire town of Nob being slaughtered, I was questioning why God would allow that. Thank you for tackling that issue later on in the study. What is the actual charge against David? If there's no real charge, why are so many going along with Saul? I loved the picture of David going to God before making a decision about attacking the Philistines and because of human reluctance, going again for reconfirmation. I thank God that we can do this, that He doesn't "zap" us if we're not sure we heard Him right the first time! The difference you pointed out between David and Saul was amazing — David's first response was to ask God what he should do, whereas Saul just assumed God had done things his way. Wow. 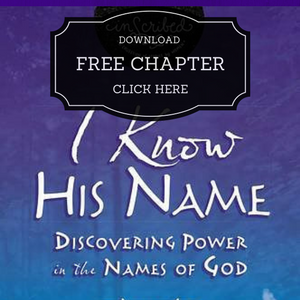 Yes, each name of God is a manifestation of His character…powerful for us as His children. With His covenant names found in the Old Testament, God forshadowed who Messiah Jesus would be to us (New Testament believers). Through these names, God demonstrates who He is and how He can work in and through our lives. Proverbs 18:10 says, "The name of the Lord is a strong tower; the righteous run to it and are safe." May we always run, but not away as David did this week, but to God!!! Thanks, Wendy! To bring it all home for me, I looked up Ps 54:1 in different versions. The NLT says, "Come with great power…and rescue me." The NCV says, "God, save me because of who you are." The Message says, "God, for your sake, help me." The deeper I dig, the more excited I get! I'm really learning about what it is to be a woman after God's own heart. It's not about being perfect, because none of us is. It's about fully trusting God, committing myself to Him, and when I do sin, confessing immediately and turning completely away from it. The way Saul's life ended up is very sobering. For God to have rejected Saul and remove His Spirit from him really got my attention…to say the least. Can't wait to continue on with this study! Wow! I don't really have words to describe my feelings about studying the Bible this way. I can definitely relate to the idea that our experiences are preparing us for a future calling. I have certainly seen that in my own life. It is so amazing to me-how thousands of years later, David's story is so very relevant. Thank you, Wendy, for sharing this study with us. I cannot wait for the next lesson. Thanks for your encouraging words. I appreciate your comments. There have been a lot of great questions and answers this week. 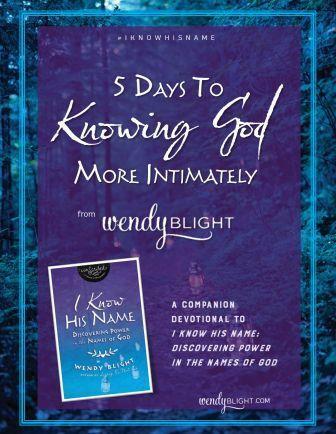 Thanks Wendy for providing many of the answers and also for providing us the names of God that was really interesting. I can't wait for Monday's new study. God's blessing to you all. I am loving the bible study! Please leave it on your blog for awhile, as I am a week behind. With my job, family, etc., I am able to do a lesson in 2 weeks instead of 1. But it is worth it! When a new lesson is posted, you can scroll down and find the past lessons. That is one reason I really like doing Bible study this way. Everyone can do it on their own schedule. Please let me know if you have any trouble accessing past lessons. Wendy, I'm so blown away by how deep I'm going with the Lord. This is the most discovery I've had with David and Saul. What really stood out at me was 2 things. The first was how you referred to Deuteronomy 17, and how the Lord talked about the rules for the kings. And the kings were not allowed to have more than one wife! How amazing that God knew that this was going to be an issue way before there were kings! I'm just so blessed by these weekly Bible study. And can't wait for week 3. God bless you Wendy! Wendy, thank you for this study! it is amazing the way God has spoken to me already! like Lisa C., i am having trouble getting a week of homework done in "1 week". i am grateful for the flexibility your blog offers and i will just keep plugging away as time, family, work, etc. allows! love and hugs, amanda s.
Leila and Katie here is some Scriptural insight regarding your question as to how God could allow 85 innocent priests and their family members to be killed and yet "protect" David. The best way to understand this is to go back to 1 Samuel Chapter 2:12 and read through Chapter 3:15. It will help you understand this event in context of the big picture of God's story. This massacre carried out God's judment that He issued against the priest Eli years before in 1 Samuel 2. You see Ahimlech and his family were descendants of Eli. Eli had two sons who committed numerous immoral and ungodly acts. They desecrated God's house and made themselves contemptible in the Lord's sight, and Scripture says Eli failed to restrain them. He spoke to them but never punished them. Because of that, God pronounced judgment against Eli's family line. He said the time would come when He would cut short their family line and there would not be an old men left. Doeg's massacre of the priests fulfills this jugement. Sadly, God used David,Saul, and Doeg as His tools to bring about the judgment against Eli's family. When we come to stories like this, we truly have to rest in the Sovereignty of God and examine His character in light of the full counsel of God's Word. 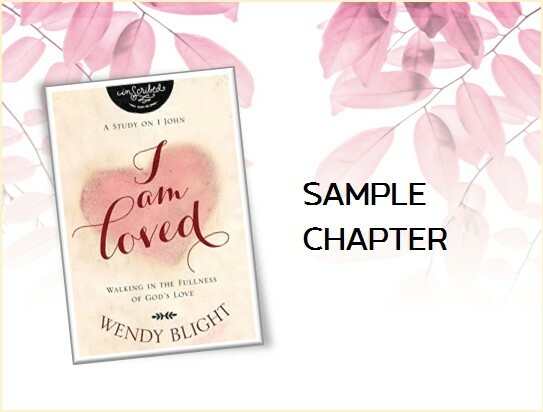 Thanks Wendy for that insight…i read those verses and saw the prophesy God made. Also in my bible commentary it said that the priest death served to dramatize to the nation how a king could become an evil tyrant-(God had warned Israel of that when they asked for a king) It further stated that sometimes God allows evil to develop to teach us not to let evil systems spring up. The Psalms were a huge comfort during my deepest depression and anxiety after having my son a year ago. Always wanted to study David more in depth, so thank you! Really appreciated your comment, "Their God is our God!" I often forget that as I continue to deal with issues related to depression and anxiety. I have the Holy Spirit, and it is by his power that I can continue to overcome this! Thank you for your time and energy poured into this study! I am in a dark place. My husband and I have separated and after many tumultuous events, I have primary custody of our 3 children. Our "new normal" is rather odd, with a harried schedule and my doubts over finances and staying in our house. God has been putting lyrics in my head while I work part time, only when the kids are with their Dad. He had them for a week, I had them last week and now they are with him again. I have never been so lonely. I feel like I'm in the cave of Adullam, but I can feel God's presence. When I made the connection with David writing the psalms there, it just blew me away! Thank you for facilitating this study! It is much needed! !